I have a small history with this bakery! When I was finishing up my internship before graduation, I sent resume after resume to any place in Boston I was vaguely interested in. 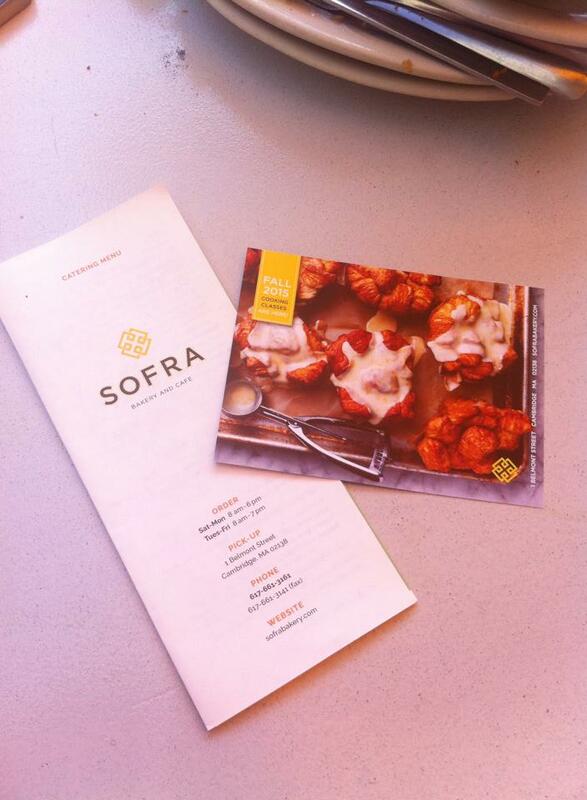 I had heard from a co-worker about this cool bakery called Sofra that focuses on using a middle eastern influence! Ultimately, I ended up interviewing there and loving every moment of it but took an offer at Flour when it presented itself. 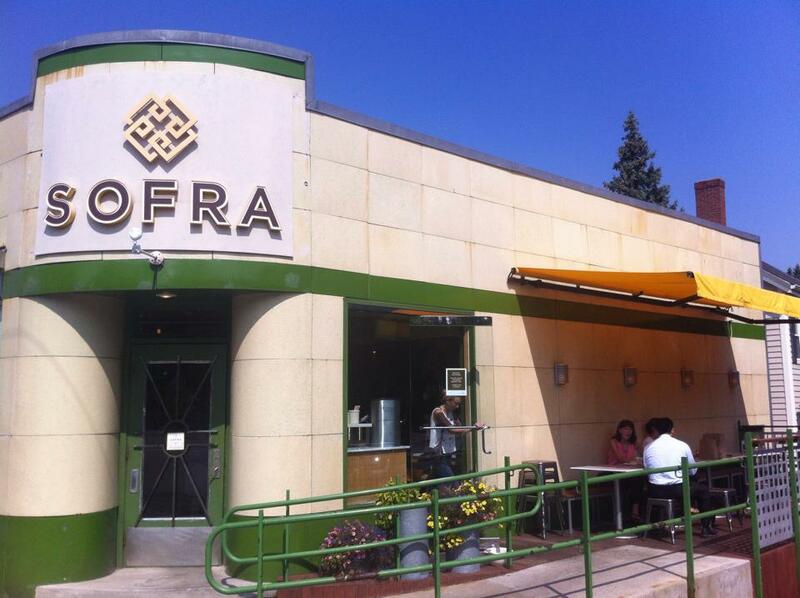 All in all, I still had a great impression of Sofra and eventually wanted to go back as a customer. Maaaaybe it took me a little too long to go back (almost two years… oops), I finally managed to go! 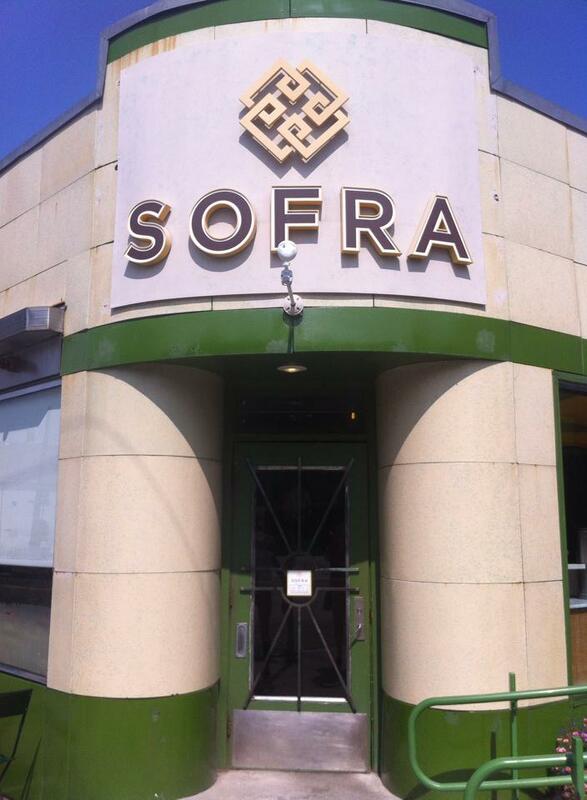 Sofra Bakery is located at 1 Belmont Street in Cambridge, MA. Right off of Mount Auburn street, it’s definitely accessible off of the 71 bus, and probably numerous others I’m unaware of. The bakery has a teeny tiny shared parking lot with just barely enough space for 8 cars but the surrounding streets are available for 2 hour parking. 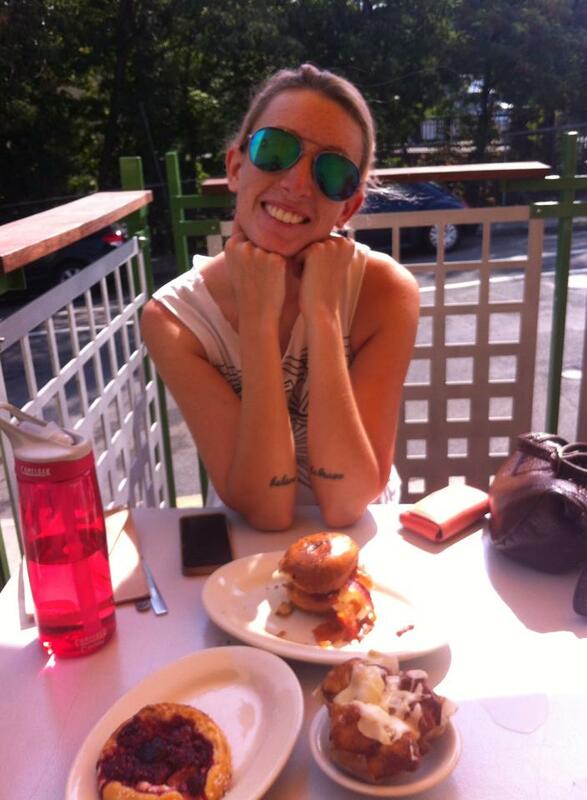 Created by Chef Ana Sortun and Pastry Chef Maura Kilpatrick, the bakery is owned by Oleana Restaurant Group and works in conjunction with Oleana (the restaurant) and Siena Farms (where they source local products!). 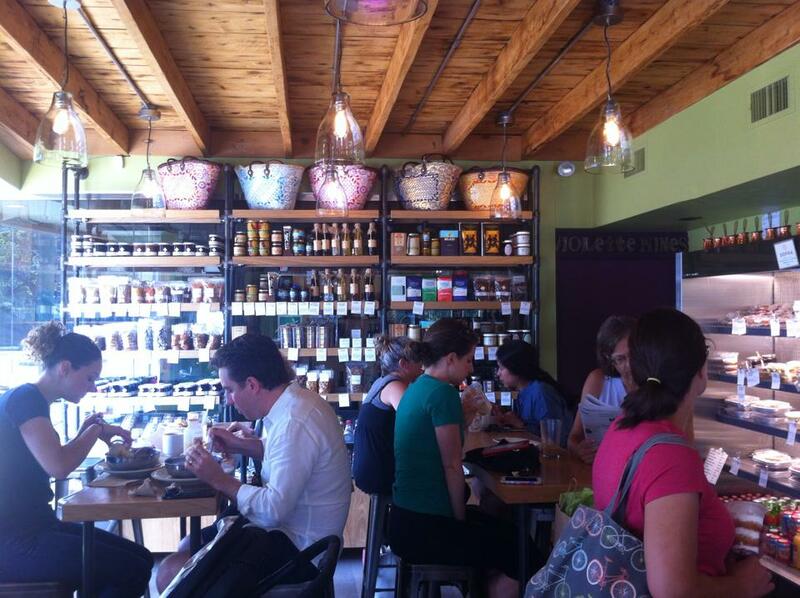 A store front selling Siena Farms products is located in the South End and I’m dying to go try out Oleana at some point! They’re also starting to do cooking classes in the fall! The bakery has a cute little porch for outdoor seating and a few tight tables inside accentuated by adorable middle eastern cushions and decorations. On the far wall in the back is an entire selection of retail products for sale as well as a cold case filled with grab and go items. My roommate and I wanted to share everything (as usual) so we went for their egg sandwich, semolina pancakes, cheese danish and orange blossom morning bun! 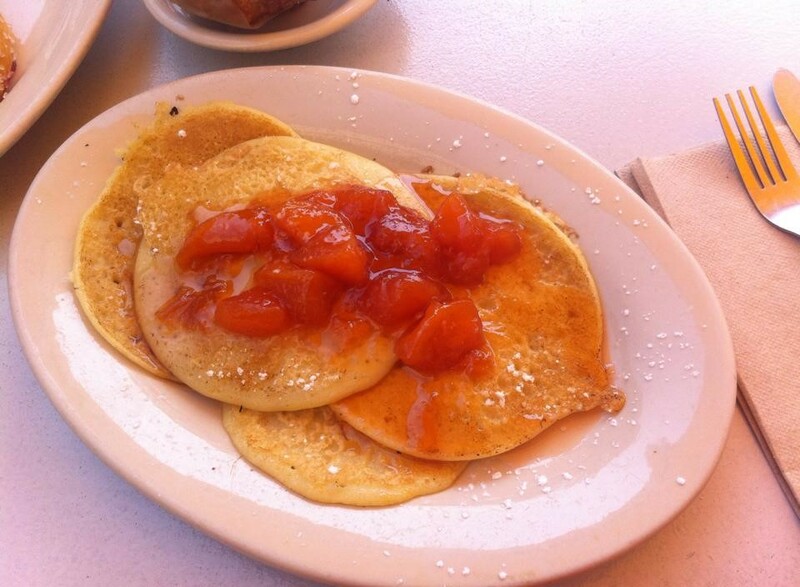 We started with the semolina pancakes topped with seasonal fruit. To be honest, the fruit was so sweet that I had trouble telling if they were peaches or apricots… (peaches, I think?). The fruit was cooked down into a syrup which replaced the typical maple syrup. The pancakes were the texture of a crepe except thicker. I was hoping that they might be a bit crunchier or offer a change in texture but they were still pretty tasty! A decent deal for $5! Next. 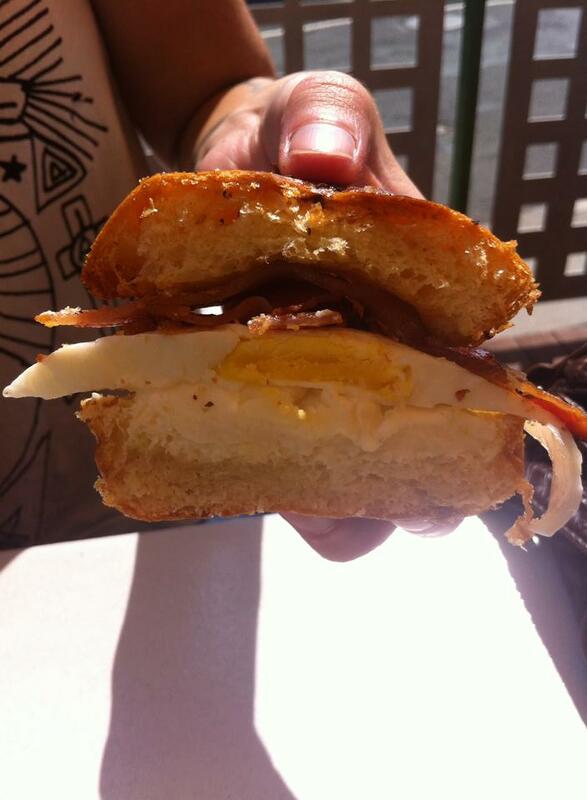 we tackled the egg sandwich made with halumi, feta butter and bacon. Pretty sure it was the feta butter that sold us so easily- YUUUUUM. 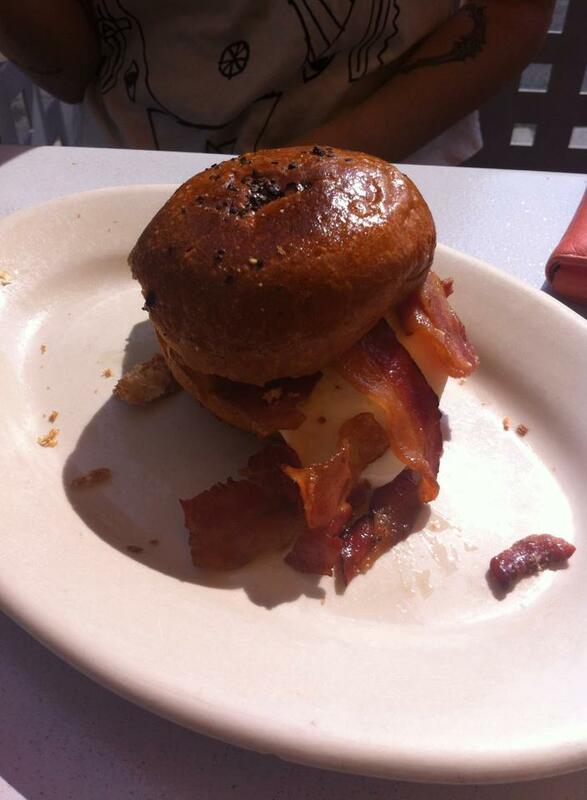 The bun was toasted and seasoned with black sesame seeds. 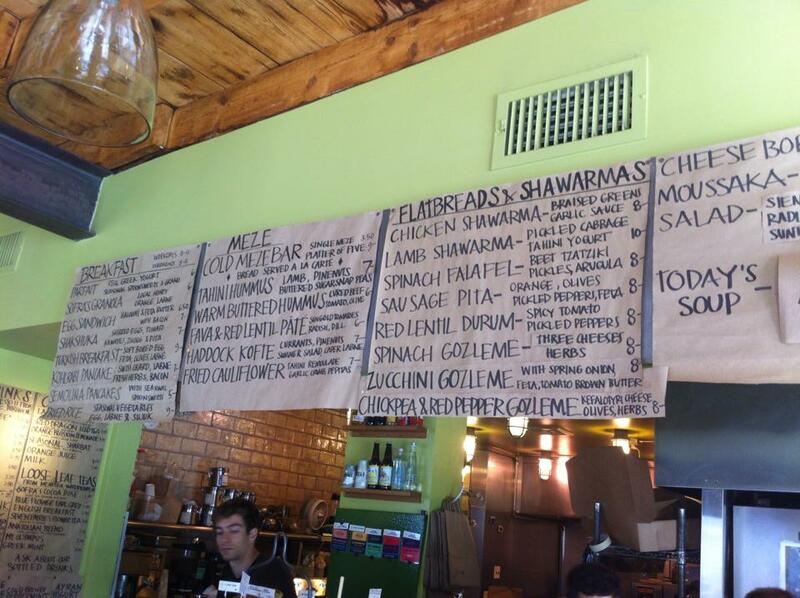 The halumi and feta butter were SO good and I want them to be on every sandwich I ever eat for the rest of my life. 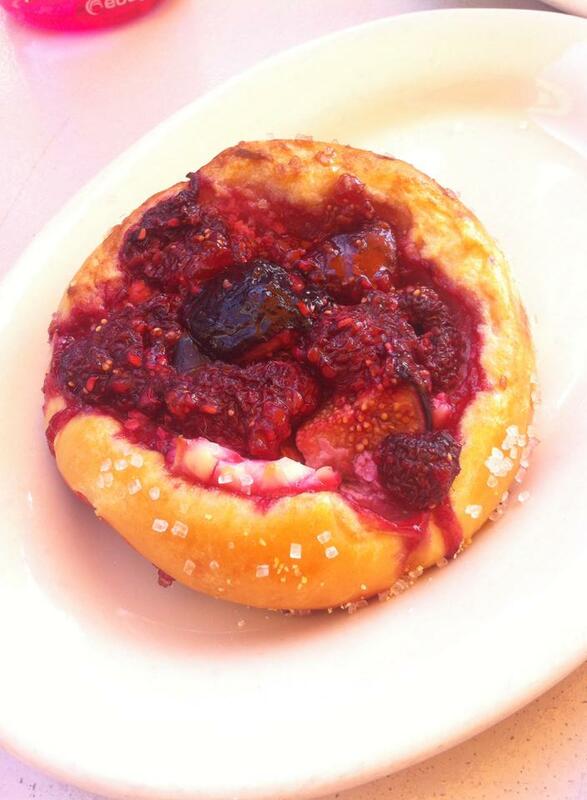 The cheese danish was not a normal cheese danish… This one was made with raspberry, figs and sprinkled with pearl sugar. Which cheese danishes aren’t my favorite, my roommate really enjoyed this! And I thought it photographed the best of our spread, so I guess I can’t hate on it too much! 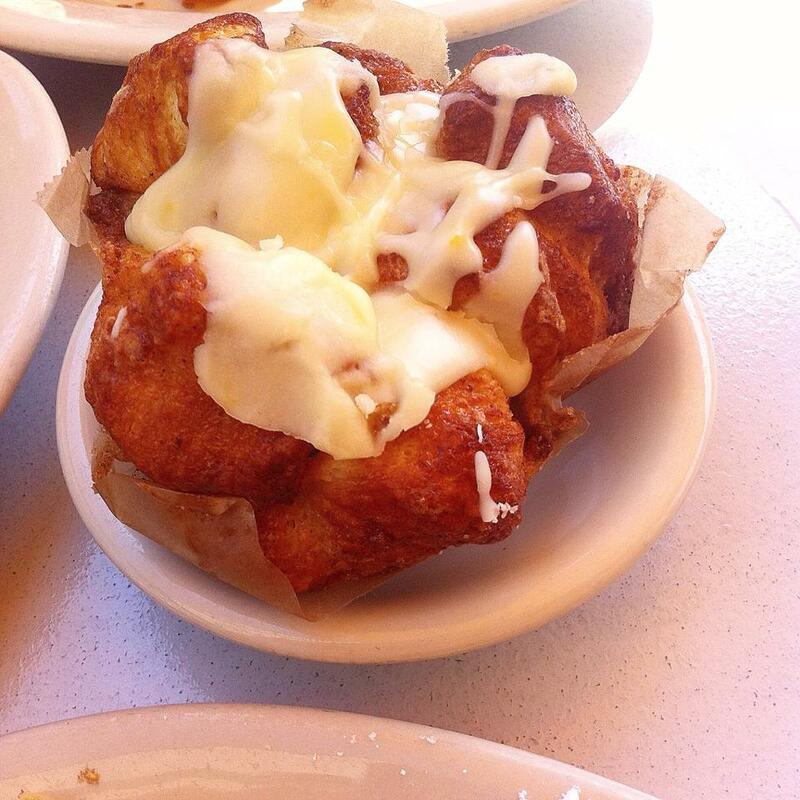 I saved the best for last- the orange blossom morning bun. If you don’t know what a morning bun is, it’s basically chopped up pieces of brioche mixed together with cinnamon and sugar that, when cooked, becomes caramelized and gooey and delicious. THEN ADD ORANGE BLOSSOM ICING ON TOP!? Boom, delicious. All flavors I love. GET IN MY BELLY. All in all, my roommate and I each only spent under 10 dollars and I left feeling full and satisfied. 10/10 would recommend. 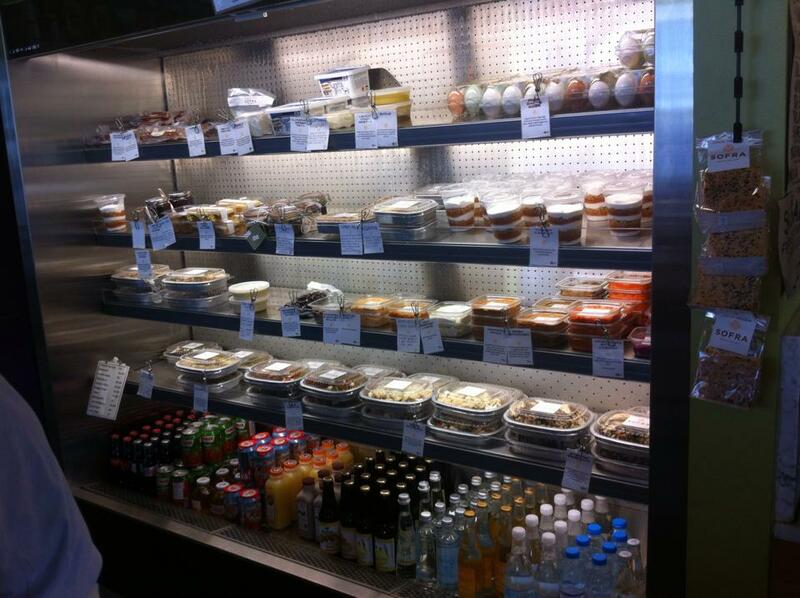 I’ll be back Sofra! Thanks for having us! As usual, I’ll be posting again on Tuesday, so be sure to come back! Thanks for reading and have a great weekend!